Find My Workspace lists over 95% of the serviced offices market in Novena. Simply click Request Quote to check pricing for one office, or Add to Basket for multiple offices. This office space provides access to facilities like meeting rooms, conference rooms, and office equipment which start-ups might not otherwise be able to afford. It enables tenants to bypass the substantial cost associated with fitting out your own office space. Having a virtual office in a prestigious business district in central Singapore also helps establish the legitimacy of your business and raise your public profile. In addition, there is the ability to hire services as you need them. 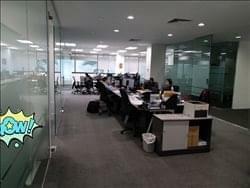 This centre provides the convenience of a modern day office free from the constraints of a corporate setting. 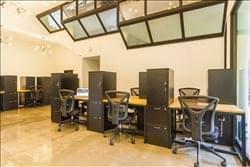 Are you a young entrepreneur, a small business owner, a start-up or just looking for some new office space to work from? Hidden away in the lush, tropical green surrounds of Bukit Timah, on the edge of the Novena district, this space fuses the timeless charm of exquisitely designed, open-plan spaces in addition to modern sports and relaxation facilities that offers you the opportunity to live that work life balance that you’ve dreamed of! Drop the kids off for their swim/tennis or dance lessons then meet as a family for dinner in the beautifully dedicated open air restaurant – this office space truly provides the perfect work-life balance. Do you need more space to work, meet and showcase? Are you planning to establish a training centre? This is the perfect space for you! Big spaces with flexibility to suit your needs and support from the on-site team makes this the perfect choice! Floors are wide and equipped with huge lifts, meaning large equipment is a breeze to handle. The unit comes with all basic fittings and the technical team is always there to lend a hand or assist you to set up, find suitable providers for IT, office furniture, staff hiring and much more. Have a designated workstation with a cabinet, a Singapore business address with designated mailbox and access to all amenities as well as access to useful connections to help your business bloom. This professional business centre features everything you could want, with fully furnished office space and amazing on-site facilities. Offering meeting rooms, an extensive business lounge, Wi-Fi, videoconferencing facilities, printing and copying stations and a refresh area. To obtain information for your selected Novena Serviced Offices, please tick the "Add to basket" box for each office you prefer and complete the form below. We will then send a detailed report via email.